Cruising has two pleasures. One is to go out in wider waters from a sheltered place. The other is to go into a sheltered place from wider waters. 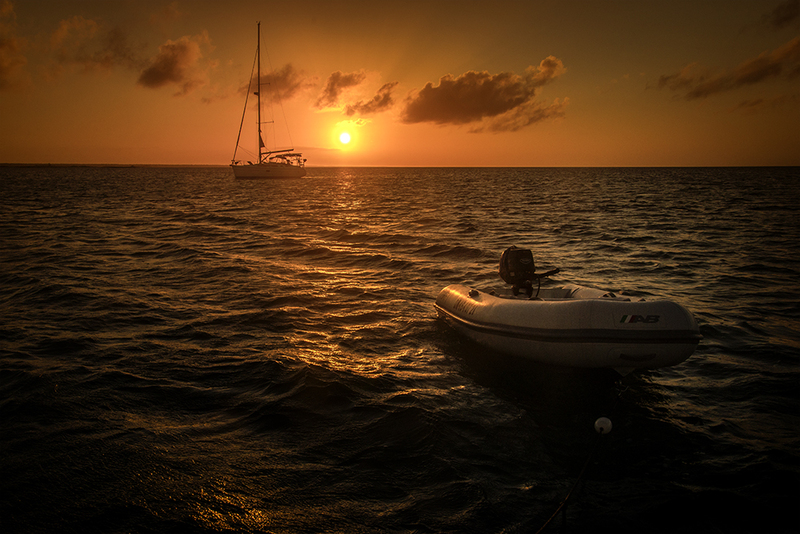 Taken from our friends’ sailboat, Overdraught, of our sailboat WIndsong II in the distance and our dinghy as the sun goes down on Crab Cay. There is so much calm and peace and beauty in this picture, I can feel my pulse slowing down. Marvelous. This is simply breathtaking, Sherry. Perfection! This really calls me.